Spinal decompression therapy is FDA cleared and has been clinically proven with an 86% success rate for pain associated with herniated, bulging or degenerative discs... even after failed surgery. It is a non-surgical, traction therapy for the relief of back and leg pain or neck and arm pain. During this procedure, by cycling through distraction and relaxation phases and by proper positioning, a spinal disc can be isolated and placed under negative pressure, causing a vacuum effect within it. The vacuum effect accomplishes two things. From a mechanical standpoint, disc material that has protruded or herniated outside the normal confines of the disc can be pulled back within the disc by the vacuum created within the disc. Also, the vacuum within the disc stimulates blood supply, secondarily stimulating a healing response. This results in pain reduction and proper healing at the injured site. 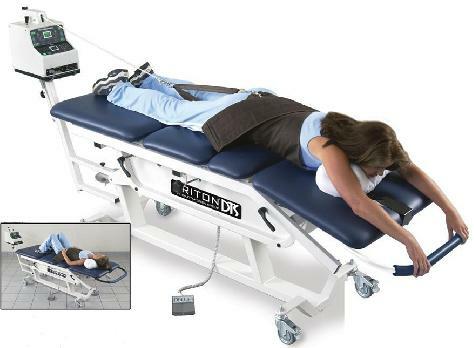 There are a number of spinal decompression machines presently used in the United States. 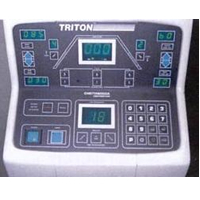 After significant research, Tri-County Pain Management Center has chosen to use the Triton DTS machine manufactured by Chattanooga, Inc., the premier manufacturer of physical therapy equipment in the world. Anyone who has back pain or neck pain caused in whole or in part by a damaged disc may be helped by spinal decompression therapy. These conditions include: degenerative, herniated, protruding or bulging discs, spinal stenosis, sciatica or radiculopathy (pinched nerves). Spinal decompression therapy is usually not recommended for pregnant women, or patients who have severe osteoporosis, severe obesity or severe nerve damage. However, every patient is evaluated on an individual basis.